I'm diggin this cabins design. 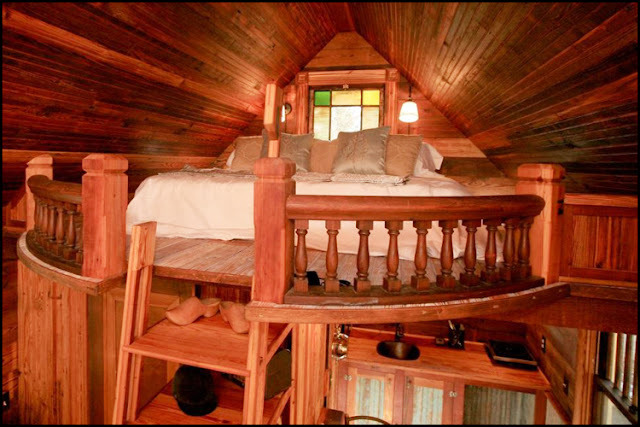 I like any cabin that has a loft though. Lofts are such unique spaces and you can have a eagle eye's view over everyone down below. Lofts are great for offices, bedrooms, or children's playrooms. 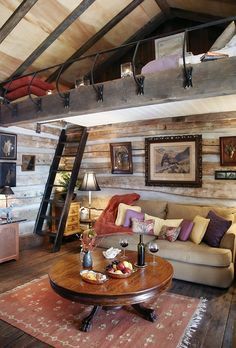 I also like how this cabin mixes rustic wood and metal accents to create a more modern look. I also like the simplicity of the space and the furniture looks comfy!